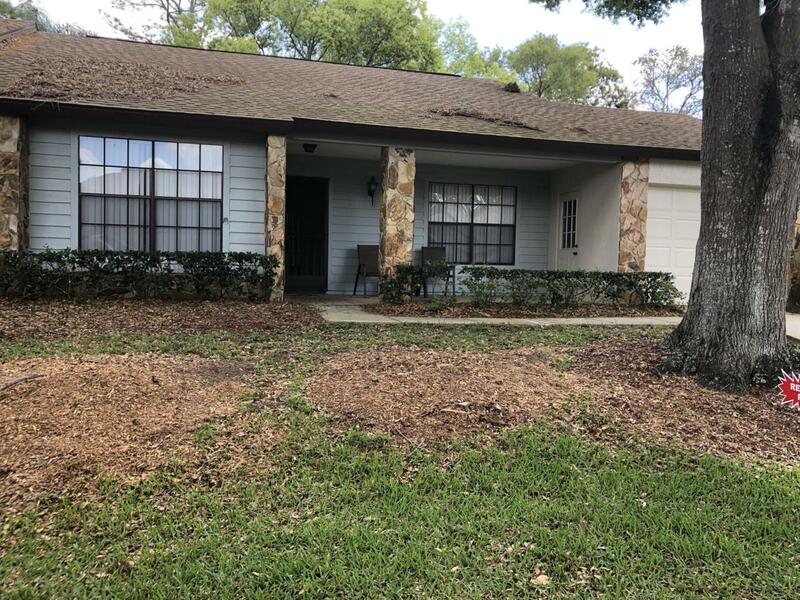 Lovely 2/2/1 Timber Pines Villa is an end unit with 2 bedrooms; one in front is off the hall with walkin closet, big window for light, and ceiling fan. 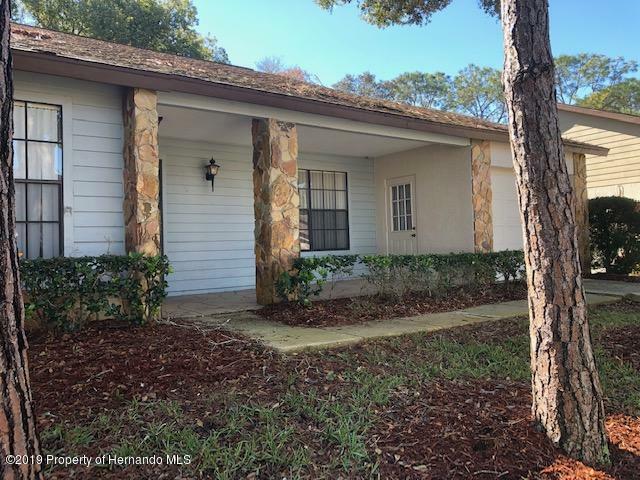 Master suite in back has walk in closet, bathroom with double sink and shower stall, and sliders to large lanai.2 bathrooms, eat-in-kitchen, large lanai, nice sitting area out front. Renting out your unit is allowed. 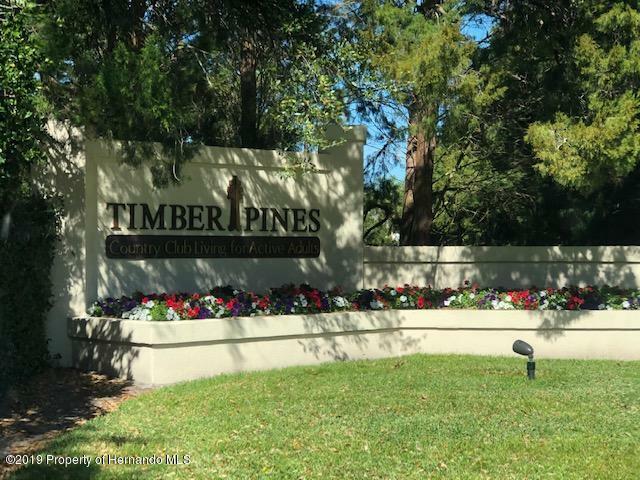 Washer and Dryer in one car garage.Timber Pines has an active 55+ golf community with several golf courses and pools, performing arts center, lodge and clubhouse for dining and socializing. Something for everyone!!! Most popular community around. 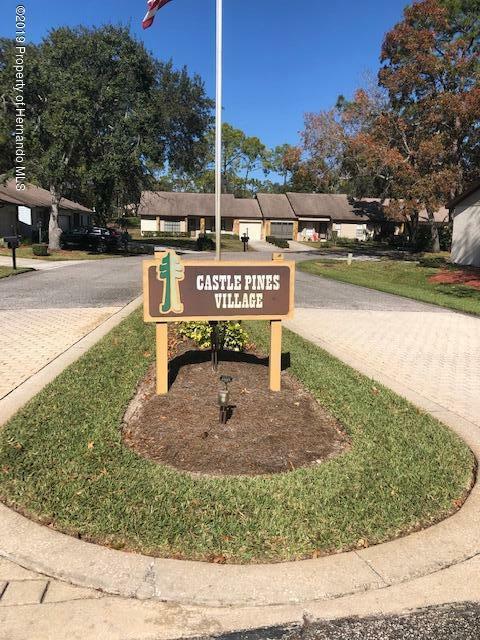 Don't miss this affordable unit.